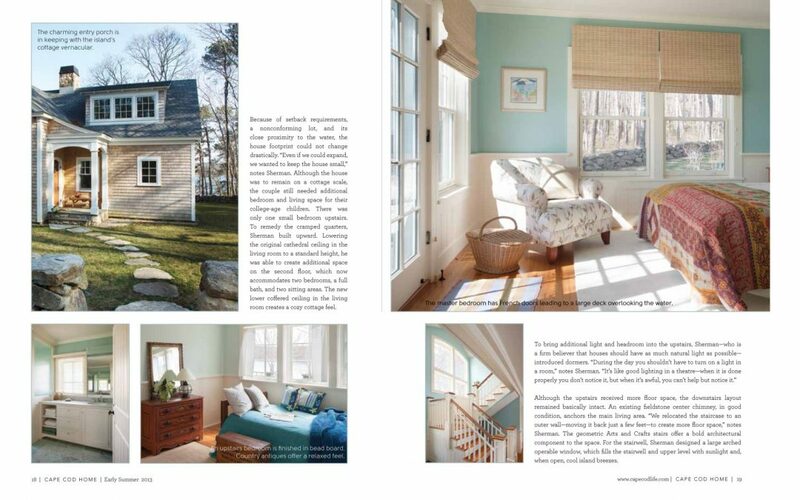 This renovation of a 1950’s Martha’s Vineyard home, designed by Boston interior design firm Elizabeth Swartz Interiors, is in keeping with the Vineyard scale and the home’s cottage feel. 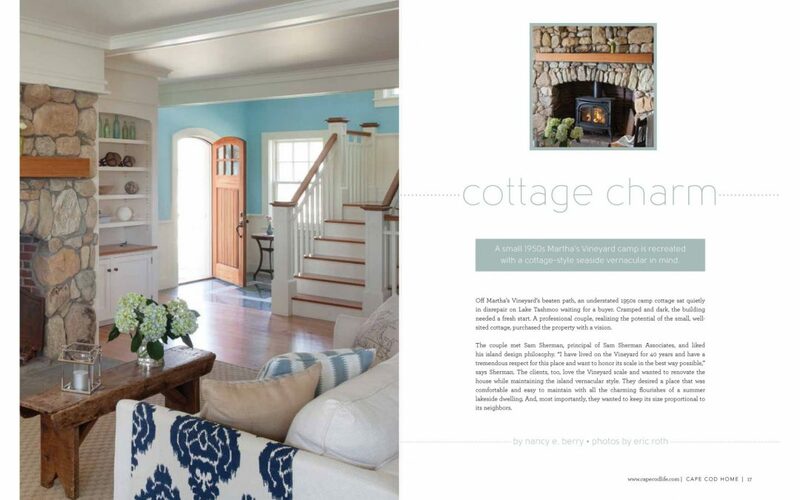 The floor plan was increased by adding a second floor over the living room that provided space for two additional bedrooms and a bath on that level. 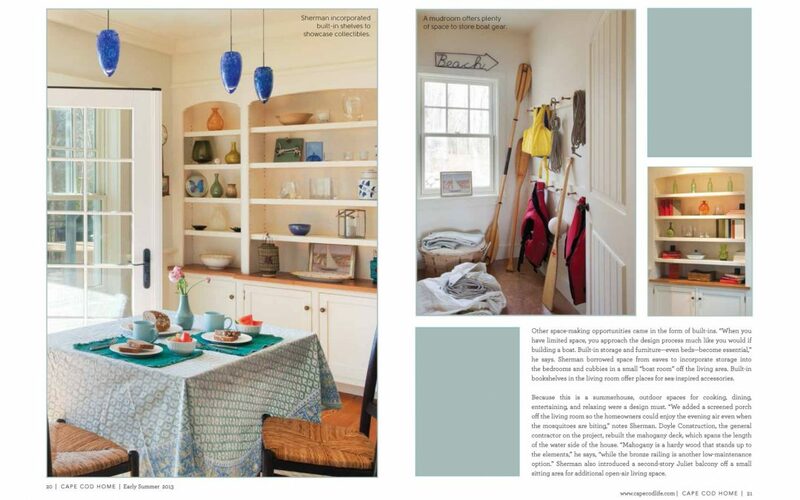 Custom cabinetry and shelving throughout the home added much needed storage. 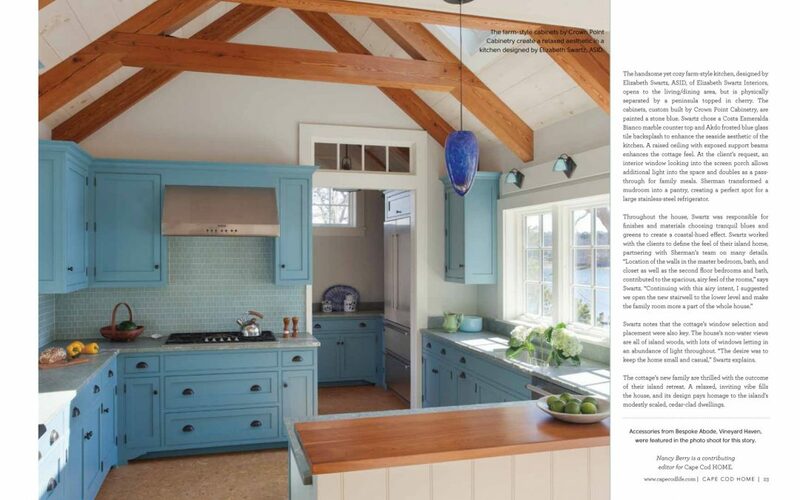 Elizabeth Swartz Interiors selected finishes, materials and accents in a variety of soothing blues and greens to reflect the home’s island roots.